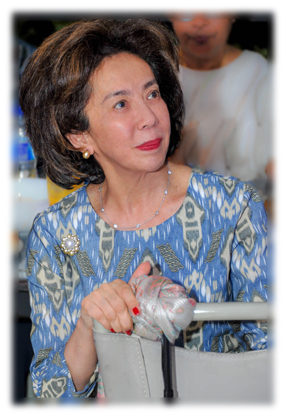 ReachOut Foundation in cooperation with Yayasan SoeryaDharma Sejahtera was established in 1989 by Judith Soeryadjaya as a means to alleviate the problems of poverty throughout Indonesia. Supported by her late father, William Soeryadjaya, the foundation focused on providing assistance to those affected by hunger, poverty, and natural disasters. With the mission statement: “Reaching out to those in need, one by one, with love and compassion,” ReachOut Foundation has been working to improve health and education for Indonesia’s children in order to develop qualified and reliable future generations. The foundation has a wide portfolio of philanthropic work ranging from disaster relief to community development and has worked throughout Indonesia in areas such as Aceh, North Sumatra, West Sumatra, Yogyakarta, and Mentawai. ReachOut has even sent relief internationally to help those in India. In 2013, ReachOut Foundation began to focus on early childhood development with the PAUD SuryaKasih project. With an overall goal of helping 1 million children affected by poverty throughout Indonesia the organization began by building early childhood education schools. By focusing on the young generation, ReachOut Foundation hopes to affect lasting change throughout Indonesia for decades to come. The PAUD SuryaKasih Project is a holistic approach to early childhood education providing free preschools and teacher training in areas without access to PAUD. The project provides qualified teachers and a standardized methodology in the classroom and emphasizes parental involvement through regular awareness building initiatives. ReachOut Foundation currently operates 10 PAUD schools, provides free education to 550+ children each year and has trained more than 250 PAUD teachers from other schools.